If you’re from Zahle or know someone living in Zahle, Massaad barbecue is a popular place there. 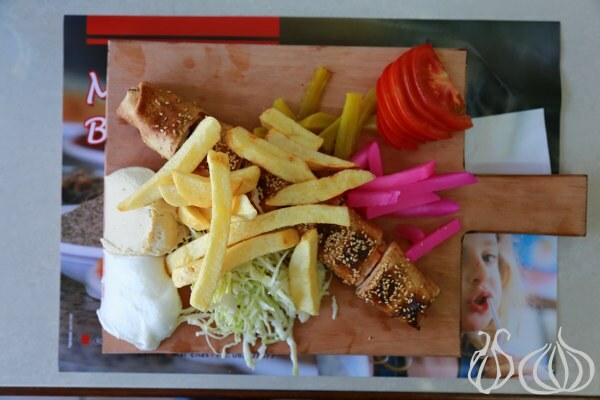 “Tabliyet Massaad!” It’s what the locals tell you when you ask where you can find the best sandwich in the Bekaa. Opened in 1967, Adel Massaad has been catering to the area, offering one single and unique sandwich, a chicken sandwich, better known as “Taouk”. Shish Taouk consists of cubes of chicken that are marinated, then skewered and grilled. Common marinades are based on yogurt and lemon juice or tomato puree, though there are many variations. Shish taouk is typically eaten with garlic paste. Today, I had the chance to meet the person behind this legend, the inventor of the recipe. Adel, helped by his son Ziad, have been working day and night to provide their loyal customers with the same quality, taste and service for more than twenty years now. In here, people come for the Tabliet. 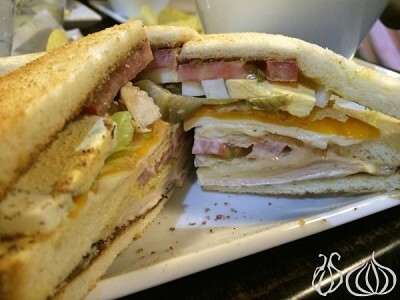 Tablieh, or Tabliet, is the sandwich Adel created, served on a piece taking its name: tablieh. Ask for a chicken sandwich and you’ll receive, on a wooden board, a sandwich marinated in his special recipe, covered with sesame and cut into bite sized pieces, hummus, garlic paste, French fries, coleslaw, with cucumber and beetroot pickles. While discussions continued, the tablieh landed in front of us. A sandwich containing a premium chicken, marinated to perfection being so juicy that it doesn’t need any additional sauce. I’ve ordered mine without garlic and believe me when I say that it was so juicy and tasty. A nice lemony note is enjoyable and leaves a pleasant aftertaste. The sandwich is then toasted, brushed with the signature marinade which is followed by a sesame shower. 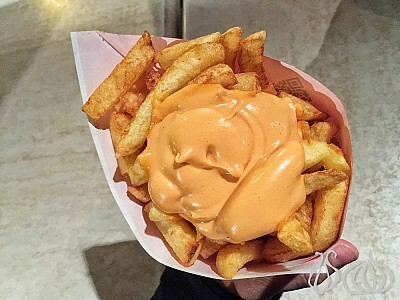 On the side, a generous portion of hummus and another of coleslaw salad is accompanied by thick French fries and pickles. You’ll be amazed by the quality of the salad, its freshness and crunchiness as well as the French fries, thickly cut in-house the homey way. What caught my attention is their garlic paste which was pure, white with a subtle smell. Usually, I am repulsed by the smell of garlic but I didn't get that feeling in here. Adel insists on telling me his secret: “We do not have mayonnaise, we do not use eggs and don’t bring anything with a strong smell to the shop. The shop has to stay clean. The paste is simply garlic and olive oil." Why a wooden plate, I ask. “Stainless steel should never be used on a table in a restaurant, it has a strong smell. Wood is a natural element and beautiful to present,” Adel tells me. I was so amazed by the character of Mr. Massaad that I forgot to look around. “Remember my friend, wake up every morning and look at yourself in the mirror… remember who you are and what are your capabilities, then plan your day ahead,” Adel continues proudly. 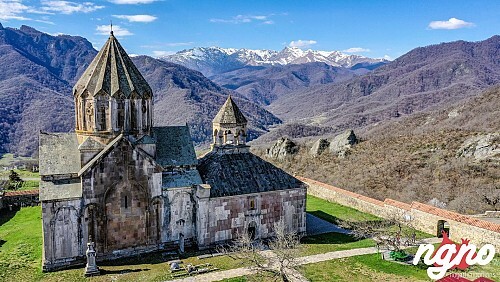 “I have seen a lot and know what I’m talking about.” I came here to eat and ended up learning important lessons in life. I understood today why people talk so much about Massaad sandwiches and specially Adel, the owner. 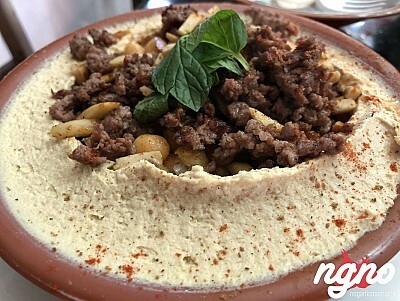 Imad Massaad, his son, opened another chain of restaurants called "Tabliet Massaad" and has now three branches, one in Hazmieh, another in Gemmayze and the original in downtown Zahle. 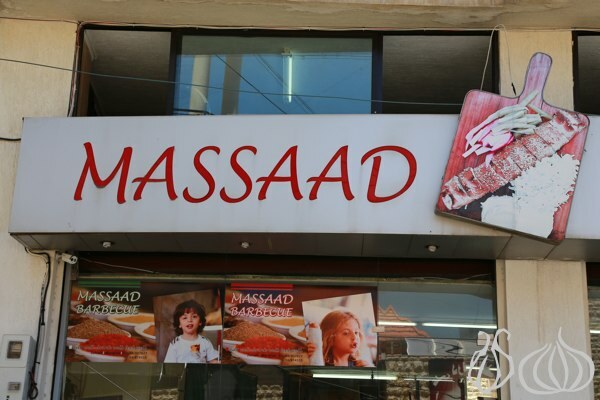 Adel's shop is called "Massaad Barbecue". 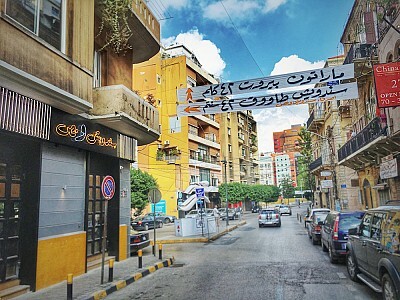 Tabliet Massaad, which started in Zahle, has reached Beirut now and even Dubai with a branch on Sheikh Zayed road… but the original remains: Adel Massaad up in Zahle. A must try.